Rid your Yard of Stubborn Stumps! Removing a tree is a lot of work. Sometimes removing the stump is an even bigger challenge. Removing a stump is extremely difficult. After a tree has been removed from your property, typically a tree stump is left behind. If a tree stump is left in the ground can be a hazard to you and your family. It can also begin to re-grow, rot or look just be an eye sore. A stump can also become a home for insects as well as fungus. In order to prevent all of these things from happening, you should have the tree stump removed. Chemical stump-removal products can take a long time to break down the wood, plus they rarely complete the task. Worst still is that these harsh, and often toxic, chemicals could seep down into the soil, poisoning the groundwater below. Other companies and homeowners try to chain a stump to a truck bumper and yank it out of the ground. This may work in softer soils and less heavy stumps, but it can cause damage to the yard and your vehicle easily. When you have tree stumps that need to be removed from your yard, it’s best to leave it to the professionals at Spring Hill Tree Specialists. We serve Spring Hill, Shady Hills, Brooksville, and the surrounding areas. Spring Hill Tree Specialists can save you from the frustrating hard labor of removing a stump on your own. We have the experience and equipment to quickly grind it all away. We use only industrial grade stump grinders to quickly wear down any stump to ground level, leaving your yard free of ugly dead stumps the right way. Safe, effective, and affordable, you won’t find better stump removal services anywhere else. We receive a lot of calls asking us about pulling a stump from the ground completely. Pulling a stump will leave a large hole in your yard that will be a hazard. We recommend professional stump grinding to remove the tree stump completely. Having the tree stump professionally removed is the most cost effective, will have the least impact, and is the safest method of tree stump removal. Please don't attempt to grind a stump down yourself. Not only will you put yourself in danger, do-it-yourself-tree-stump-removal may result in property damage, but the potential to seriously injure yourself or others. The experts at Spring Hill Tree Specialists are experienced and equipped to tackle any of your stump grinding needs. One of our experienced staff members will come to your home to evaluate the situation. 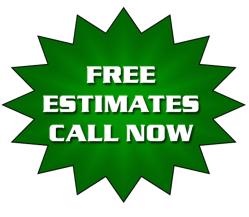 We’ll explain your options and give you a no cost estimate for the stump grinding. We know many homeowners like to have a second opinion and this way you can see firsthand that we’re the best option each time. We pride ourselves on being courteous and efficient. Our team is made up of only the best local tree care professionals we can find, giving you better service and lower pricing. As a result, our team has more combined experience and can offer any service you need faster than any other local tree service company can. Call Spring Hill Tree Specialists today at 352-340-2324, or fill out our convenient contact form for your free estimate or pricing questions. We are here to help with all of your tree servicing needs. A little shout out to our friends for Stump Removal Cleveland, Ohio.